Think we can bring the same excitement with the debut “Sports in 6ix: Week in Review” article as Antonio Brown’s training camp arrival? Maybe not, but hopefully it will be a far less turbulent ride! Behold, coverage of the six biggest sports storylines from this past week. ARE YOUR READY FOR SOME FOOTBALL??? Before the arrival of the season itself, a month of drills, practice and preparation must take place. It’s the wonderful thing known as NFL Training Camp. All 32 teams reported to camp this past week, with the Broncos, Chargers, Cardinals, and Vikings as the last four teams to have their first full team practices on Saturday. Plenty of position battles will play out over the next month, as teams narrow their rosters and get their play packages and schemes ready for the upcoming NFL season. The usual barrage of fun player arrivals on respective first days was in full force once again this season. The entire Rams offensive line showed up in rompers (reportedly bought by QB Jared Goff). Panthers running back Christian McCaffrey chose a longboard as his method of transportation. Cowboys linebacker DeMarcus Lawrence posed for pictures with an army tank, calling it his “training camp whip.” And, of course, several Green Bay Packers continued the bicycle tradition. However, no one could top Steelers star wide receiver Antonio Brown. 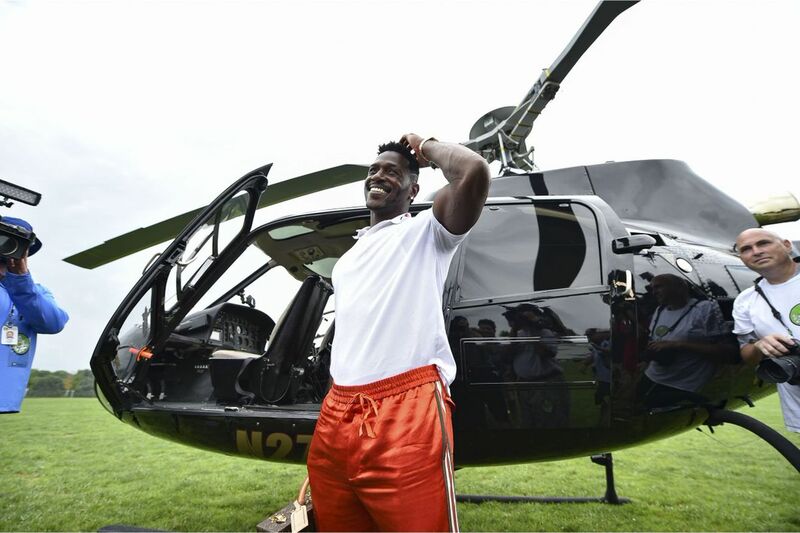 Known for making stylish entries in the past, Brown took it to a whole different level for this year’s training camp arrival, landing in from the sky with his family in a helicopter! Brown will look to translate his flamboyant entrances into more extravagant play on the field this year, most likely the Steelers’ last with star running back Le’Veon Bell. Bell will again be playing under the franchise tag in 2018 after he and the Steelers couldn’t agree on a long term contract. He has vowed to make this season his best, but is once again not present at Steelers training camp. Other players yet to report to camp over contract disputes, or lack of a contract at all, are Rams defensive lineman Aaron Donald and Jets rookie quarterback Sam Darnold. Rumors have circulated that Donald will not play another down for Los Angeles on his current deal after seeing running back Todd Gurley and receiver Brandin Cooks get lucrative extensions this offseason. Falcons wide receiver Julio Jones was another expected training camp holdout, but Atlanta reworked his contract to give him a few extra millions for this season, while promising to renegotiate the entire deal next offseason. As a result, Jones was present at Falcons camp this week. 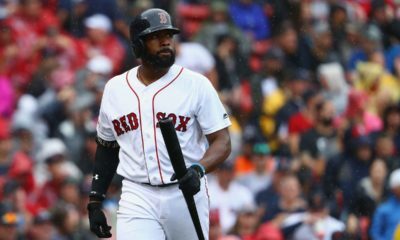 The push to the MLB postseason continued this week with more contenders becoming buyers and with others becoming sellers on the trade front. With the July 31st trade deadline (that really isn’t the trade deadline, but just go with it!) fast approaching, teams are doing everything they can to get an edge heading into the stretch run. While the Manny Machado trade was probably the biggest so far, there was plenty more action in the past week. Moves from this week included the Yankees acquiring starting pitcher J.A. 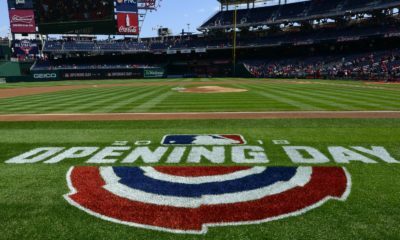 Happ from the Blue Jays and reliever Zach Britton from the Orioles, the Red Sox getting starter Nathan Eovaldi from the Rays, and the Phillies landing shortstop Asdrubal Cabrera from the Mets. What’s striking about all of these moves is that they were all trades within the same division! It just goes to show that teams will sell the farm, even to their division rivals, if the return is right. 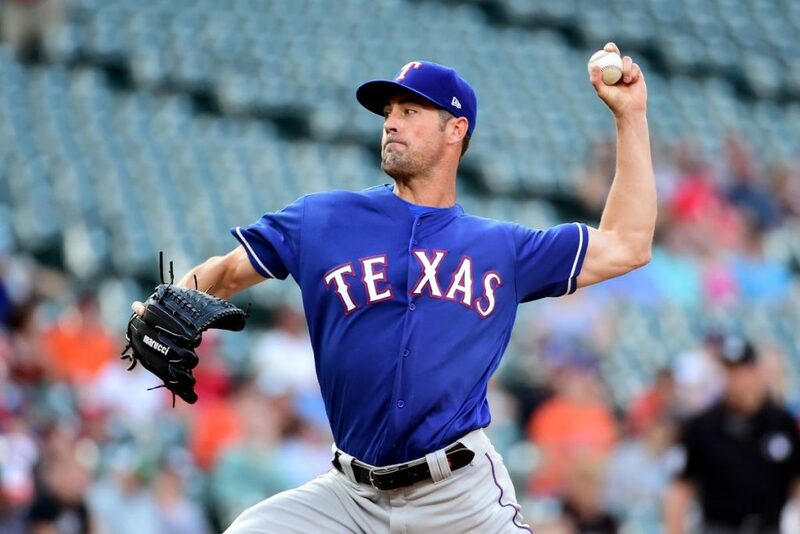 Other moves that have happened include the Cubs acquiring Cole Hamels from the Rangers, the Indians adding reliever Brad Hand from the Padres, the Brewers bolstering their own bullpen depth by getting Joakim Soria from the White Sox, the Diamondbacks landing infielder Eduardo Escobar from the Twins, and the Braves getting reliever Brad Brach from the Orioles. Even with all of the trades that have already occurred, there are still several prominent player names swirling around. While the Mets are reportedly not offering starters Jacob deGrom and Noah Syndergaard, they haven’t pulled back on a potential deal for fellow starting pitcher Zack Wheeler. There are reportedly a multitude of teams with a level of interest. Another name that is in the conversation is Rays starting pitcher Chris Archer. Oddly enough, one of the frontrunner teams to make a move for him is the worst team in the entire NL, the San Diego Padres. Archer has several years left on his contract and the Padres feel that they could be contending seriously as soon as next year, so the move would make sense if they can pull it off. 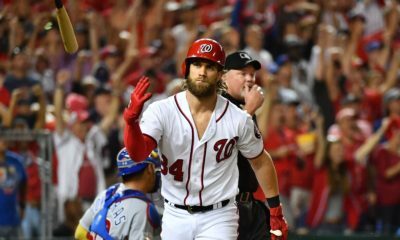 A couple of other things to watch ahead of the deadline are what the underachieving San Francisco Giants and Washington Nationals do. With a lot of teams between them and the wild card, these two teams could go from projected contenders to sellers very quickly. The WNBA All Star Game followed suit of the NBA in this year’s version of the game in Minneapolis. The traditional East vs. West format was abandoned. Candace Parker and Elena Delle Donne were selected as team captains and drafted their rosters from the pool of All Stars presented before them. In the end, it was Team Parker coming out on top, 119-112. Minnesota Lynx star Maya Moore again showed out on the All Star stage, this time doing so in front of her home fans in Minnesota. Her 18 points, 8 rebounds, and 6 assists were enough to win her third consecutive All Star Game MVP Award. She joined Lisa Leslie as the only 3-time winners of the award. Moore also became the all-time leading scorer in WNBA All Star Game history, passing Tamika Catchings’ 108-point mark. Allie Quigley of the Chicago Sky also scored 18 points for Team Parker. This came after her epic 29 out of 34 point performance in the championship round helped her defend her 3-Point Contest title. 6’8” Liz Cambage of the Dallas Wings made sure that Team Parker finished the victory off in style as she became the sixth player to dunk in the All Star Game. Team Delle Donne was led by Kristi Toliver of the Washington Mystics who shot 7 of 11 on three’s to score 23 points. Impressive Las Vegas Aces rookie A’ja Wilson was right behind with 18 points in defeat. Absolutely no one would have thought that Washington D.C.’s second championship of 2018 would come from the AFL. But that is just what happened when the Washington Valor topped the Baltimore Brigade 69-55 to win ArenaBowl XXXI Saturday night. The win capped a wild playoff run for the Valor, who finished the regular season with just a 2-11 record. The semifinals of the four team AFL Playoffs were a two-game home and home with an aggregate scoring format. Taking on the top-seeded Albany Empire, Washington suffered a one point overtime loss in the first game at home before going on the road to shock the Empire the following week to advance. It was their first win all year against Albany, who had won the four regular season matchups between the teams. This led the Valor into Saturday’s ArenaBowl, a road game being played at the home of the 2-seed Brigade. Washington again looked nothing like a 2-win team, controlling the game and limiting mistakes to cruise to the two-touchdown triumph. 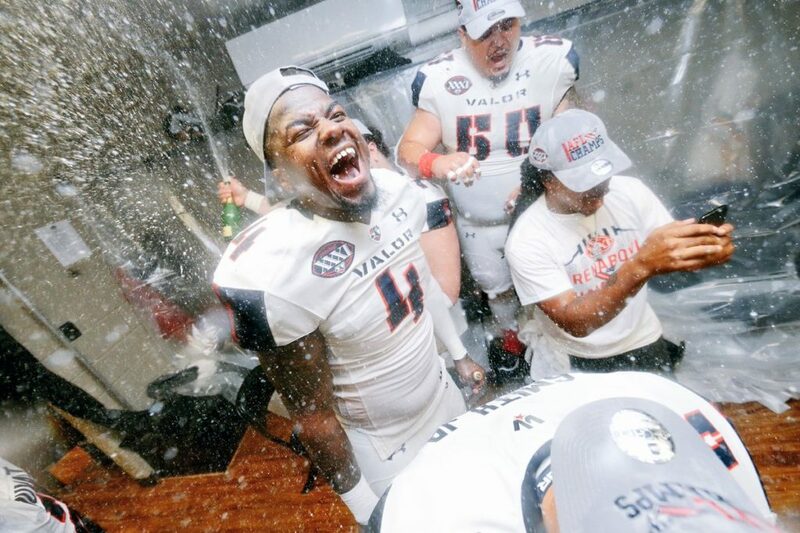 AFL journeyman quarterback Arvell Nelson was the star of the Valor’s remarkable playoff run, and the ArenaBowl was no different. Nelson threw for 223 yards and 3 touchdowns while adding a whopping 5 touchdowns and 42 yards rushing, earning him MVP honors for the game. The Valor and Brigade are both owned by Ted Leonsis who also owns the Stanley Cup Champion Washington Capitals and the Washington Wizards. There is just no stopping Kyle Busch on his mission for NASCAR success this season. Well, maybe if your Kevin Harvick or Martin Truex Jr., you can outrun him. Good luck to everyone else. The Cup Series “Big Three” have won 17 of the 22 races run on NASCAR’s premier circuit so far this year including the non-points All Star race. This also includes the latest Kyle Busch victory earned Sunday at Pocono. It marked Busch’s 6th win of the 2018 season. Busch had to hold off pole sitter Daniel Suarez, and other young drivers Erik Jones, Alex Bowman, and William Byron on multiple restarts down the stretch to claim the checkered at Pocono. What makes Busch’s win even more impressive? After failing post-qualifying inspections, he had to start at the rear of the field, along with fellow “Big Three” driver Harvick (who by the way, climbed all the way back to finish fourth himself). The Tricky Triangle was no match for Busch all weekend, who doubled down as the winner of Saturday afternoon’s Truck Series race as well. That victory marked his 51st all time in the Truck Series, tying him with Ron Hornaday Jr. for the most all time in the series. UFC Calgary delivered one of the most exciting fight night cards in recent memory. There was no true yawner of a fight, something that the UFC was perfectly okay with after a very boring card the previous week in Hamburg, Germany. Good thing too, because the Calgary card was chock full of intriguing names jockeying for title opportunities within their respective divisions. 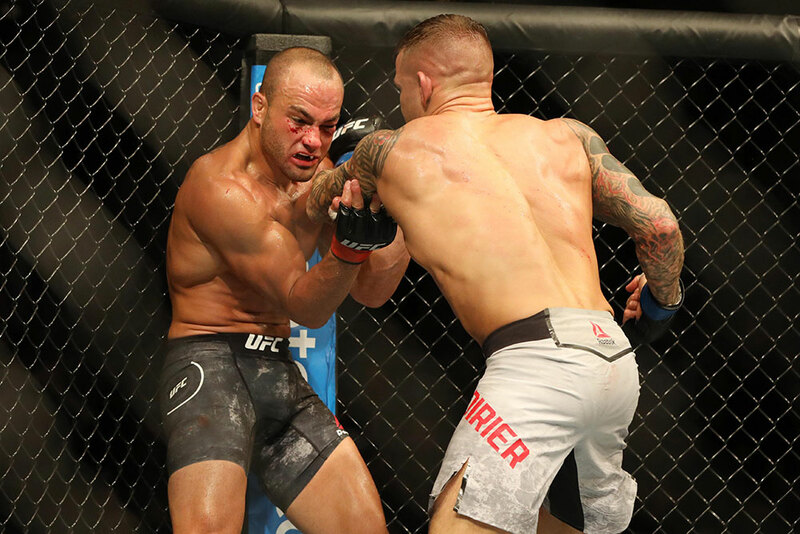 Dustin Poirier was the star of the show, thanks to his second round TKO victory over former lightweight champion Eddie Alvarez. The win puts Poirier’s record at 24-5 over all with 1 no contest, that being his first fight against Alvarez. More importantly, the win represents Poirier’s third against a quality lightweight division opponent. He also has defeated Anthony Pettis and Justin Gaethje. If he isn’t the next one to earn a shot at belt-holder Khabib Nurmagomedov, his opportunity certainly can’t be far off. The co-main saw one of the all-time best of the featherweight division, Jose Aldo, take on Jeremy Stephens. For the first portion of the fight, Stephens looked like he was gaining the upper hand. A barrage of strikes from Aldo quickly changed the momentum, and one big left hook to the body dropped Stephens to the floor where the assault was quickly on. Stephens was not happy with the stoppage coming when it did, but he rolled to his stomach completely giving himself up as Aldo was raining down shot after shot. The first round TKO win for Aldo now moves him back to the center of talk for future title opportunities in the featherweight division, where Max Holloway is the current champ. The last major fight on the card was contested between former women’s strawweight champion Joanna Jedrzejczyk and American contender Tecia Torres. Jedrzejczyk, trying to earn a rematch opportunity after losing her belt to Rose Namajunas at UFC 217 last year, won every round on all three scorecards in a clean sweep unanimous decision win over Torres. Her quick striking from range was lethal throughout. Torres did a good job to position Jedrzejczyk where she wanted her, but Jedrzejczyk’s octagon awareness and ability to use the cage to avoid takedowns played key roles in her ability to thwart Torres’ attack. Up next for the UFC is the UFC 227 pay-per-view event, this coming Saturday, August 4th, live from Los Angeles. Bantamweight champion T.J. Dillashaw will defend his belt against Cody Garbrandt, and the flyweight champion, undefeated Demetrious Johnson, will defend his title against Henry Cejudo. FlurrySports Podcast Nominated for Podcast Awards!